If you are looking for your first or next office space, you would have gone over the pros and cons of moving into a traditional office space. You would have realized that you either need to buy an office space or move into a commercial office space, either on lease or rental basis. Getting a workspace is a costly affair but costs aside, you would have gone over the maintenance aspects as well. And perhaps this might have made you take a step back. Because you would have realized that investing in an office space is just the first part and maintaining it is a whole other ball game. The logistics and mounting costs will certainly seem like a steep hill to climb. But don’t fret. There is a solution – Serviced office spaces, also known as shared office spaces, and they are here to keep your business functioning at the lowest cost, with absolute functionality. 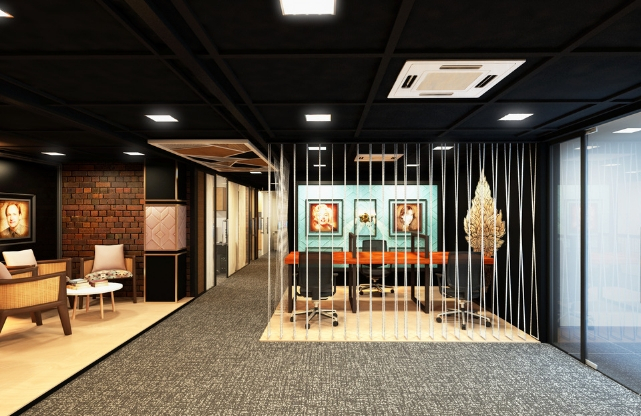 A serviced office space is a sweet deal not only for start-ups but large corporates as well. Why? Well, serviced office spaces give you a complete package of amenities, along with furnished workspaces and staff support. Affordability: The world of corporate real estate comes with hefty price tags that grow costlier each year. Serviced office spaces cost only a fraction of what a conventional office space costs. Rather than paying in lakhs to lease a commercial space, spending a few thousand rupees a month is a much more viable option, especially as you are not tied down by any risks. Setup for free: Office equipment, management services, and infrastructural facilities are already present at a serviced office space. You don’t have to run around looking for an internet service provider, a food caterer, a janitorial service provider…or a coffee machine. A serviced office provider has all of this and much more set up for your convenience. Flexible terms: One of the benefits of a serviced office space is the fact that you have no long-term commitments holding you down. You also have a wide range of options to choose from – coworking spaces, private office spaces, hives, and virtual offices. With a serviced office space, you will be looking at options that fit your budget and let you exit when you feel you no longer need the space. No risks: Start-ups and small to mid-sized businesses are usually constrained by their budgets. This means that expanding a workspace usually puts them at a risk of making a jeopardizing financial decision. However, there is no such risk when moving into a serviced office space. You could always pay for a month, test the waters and then either stay or leave based on your experience. Also, the minimal costs keep any regrets at bay. Prime locations: Most of the sophisticated workspaces are located in prime locations, allowing businesses who work under their roof to enjoy a new professional persona, at a prime corporate destination. For instance, Workafella’s office spaces in Chennai are located in IT corridors – Shollinganallur, Perungudi, Alwarpet. In Hyderabad, Workafella is located at HITEC City and Banjara Hills. In Bangalore, Workafella dominates Infantry Road. This gives their clients the ability to proudly work at bustling IT locations. Mobility matters: If your work entails a lot of travel, an established serviced office provider will give you access across cities. You don’t have to worry about having to work out of a hotel room when your access card works across the country. Networking Opportunities: A serviced office space is essentially an entire business ecosystem, with professionals from a wide range of industries. You get to meet experienced businessmen, and people from all walks of life, that are looking to seal a deal. You can socialize to your heart’s content, and opportunity will always knock on your door. Keep your employees happy: Serviced offices offer the option to work remotely, in ergonomic spaces, that are fully facilitated and open for 24 hours. 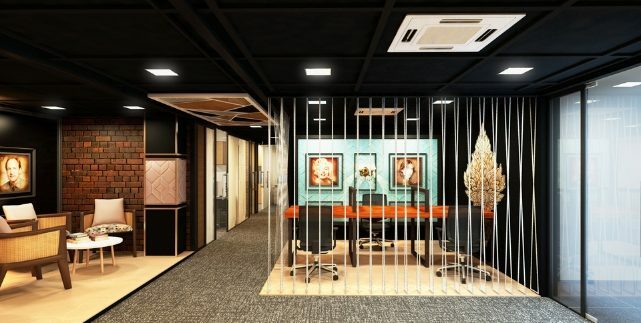 Employees can work at convenient timings in an air-conditioned workspace, with tea and coffee on the house. Employee Engagement: Some business centers host fun, motivational events and community forums where employees not only get to have a good time but also take something valuable back with them. Learning from their peers’ advice and being able to interact with business leaders across various industries can really widen the perspective of a young working individual. For example, at Workafella, clients get to experience the benefits of corporate Yoga & Zumba. A special community event called Namaste Workafella takes place to give interesting individuals a platform to showcase their achievements, talents, and stories. These type of events keep the community active and aware. Environment-Friendly: A serviced office hub can reduce the number of carbon emissions that are associated with running a large office space. If your company’s philosophy includes being conscious of the environment, this aspect will most certainly add value to your business. In conclusion, serviced office spaces are the right way to go if you are looking for a productive working environment. If you’re in need of an ergonomically built workspace, take a look at Workafella’s private office spaces, co-working spaces, hives or virtual offices, here.